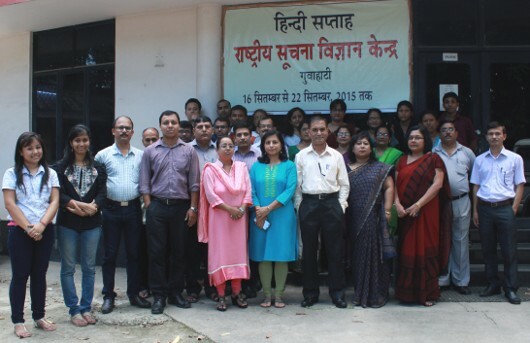 Hindi Week was celebrated at NIC Assam State Centre along with the NIC District Centres of the State from 16th to 22nd September, 2015 with various competitions and cultural programmes. Some of the snapshots are highlighted here. Employees pose for a group photograph on the ocassion of Hindi Week. 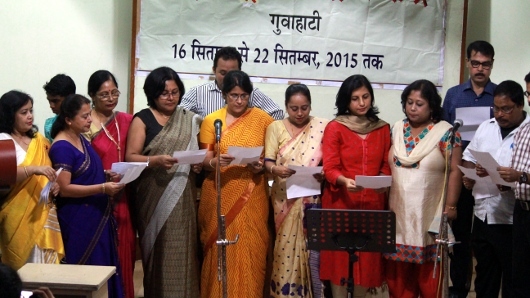 Group song at the cultural programme at Assam State Museum auditorium. 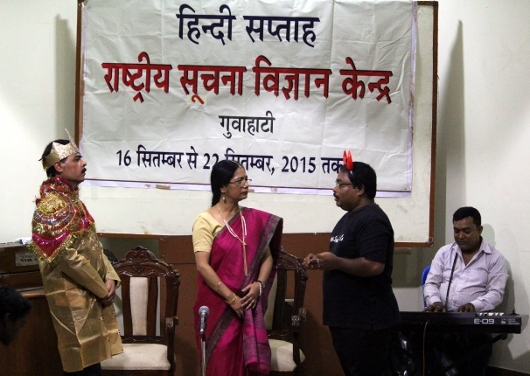 A scene from the skit "Chai Pani" directed and produced by Rahul Deka.